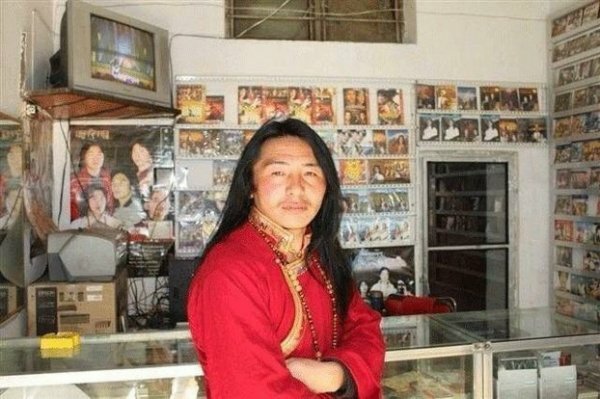 In northwestern China’s Qinghai province, a court has sentenced a popular Tibetan singer to five years in prison for publicizing the actions of a self-immolation protester and for performing songs with banned political themes. Shawo Tashi, 40, was handed his sentence by the People’s Intermediate Court in Malho (in Chinese, Huangnan) Tibetan Autonomous Prefecture. The investigation against him was carried out in cooperation with authorities in Qinghai’s Rebgong (Tongren) county, the scene of several self-immolation protests against Beijing’s rule in Tibetan areas, including a Nov. 7, 2012 protest by a young mother, Tamdrin Tso. The singer was sentenced for “distributing photos of the self-immolator, copying her final statement on the photos, participating in a protest rally against the [Chinese] government, and singing songs about Tibetan nationality,” the source said, speaking on condition of anonymity. Details of the precise charges made against Shawo Tashi and the date of his sentencing are still unknown, though he is believed now to be held in a jail in Qinghai’s provincial capital Ziling (Xining). “His family members knew nothing of his whereabouts or health until recently, when they learned about his sentence,” he said. Shawo Tashi, “a talented singer from a young age,” had released several recordings of his songs, RFA’s source said, adding that one—“Faraway Father,” a reference to Tibet’s exiled spiritual leader the Dalai Lama—was very popular in the Tibetan community. News of Shawo Tashi's jailing comes just after the detention by Chinese security officials in July  of another Tibetan musician. Kalsang Yarphel, 38, was taken into custody in Tibet's regional capital Lhasa on July 14  and was flown under guard to Chengdu, in Sichuan province, for performing a song calling on Tibetans to "unite" and to learn and speak their own language. Meanwhile, two Tibetan singers detained for nearly a year for distributing politically sensitive songs were handed two-year jail terms in June following a secret court hearing. Pema Trinley, 22, and Chakdor, 32, both natives of a nomadic settlement in Sichuan, were taken into custody in July 2012 in Machu county in Gansu province. They were detained "because of their release of a DVD that contained songs praising self-immolation protesters and the Dalai Lama," one source said. A total of 121 Tibetans in China have also set themselves ablaze to date in protests challenging Beijing’s policies and rule, with another six setting themselves on fire in India and Nepal.